My son and his girl friend declared these tarts amazing and I have to agree. The recipe comes from my sweet, amazingly talented friend, Tiffany, Food Finery. 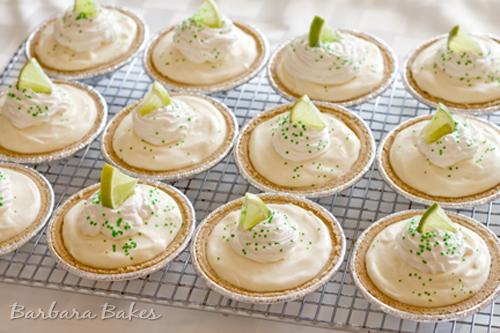 Tiffany is known as a key lime pie connoisseur and she modeled this recipe after her favorite key lime tarts at Cafe Normandie. 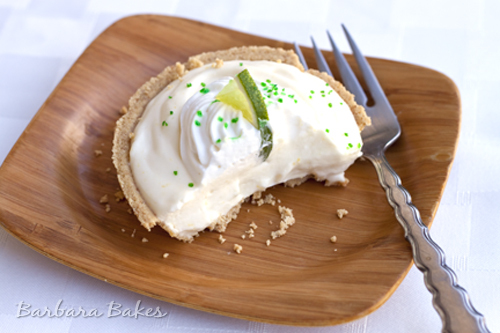 Key lime pie is usually made with sweetened condensed milk and baked. Tiffany’s easy, no-bake recipe starts with making key lime curd on the stove and after chilling, folding in sweetened whipped cream. I took the easy route and bought some mini graham cracker crusts and filled them with the luscious filling. I did have some trouble with the lime curd. Bits of egg white cooked instead of incorporating into the curd and left the delicious curd looking a bit lumpy, so I decided to just strain the curd. I was left with 1 1/4 cups of gorgeous key lime curd. My husband spotted it while it was chilling in the fridge and was disappointed that I was using it all in the tarts. Next time I’ll have to make a double batch so that he’ll be able to enjoy it on some toast for a quick, delicious treat. Since I didn’t have 2 cups of curd, I also cut the amount of whipping cream I used for the filling. Even with the reduced amounts, I still had enough to fill 12 mini graham cracker crusts. I topped them with a little whipped cream, lime wedges and some green sprinkles. Adding green sprinkles wasn’t my best idea. 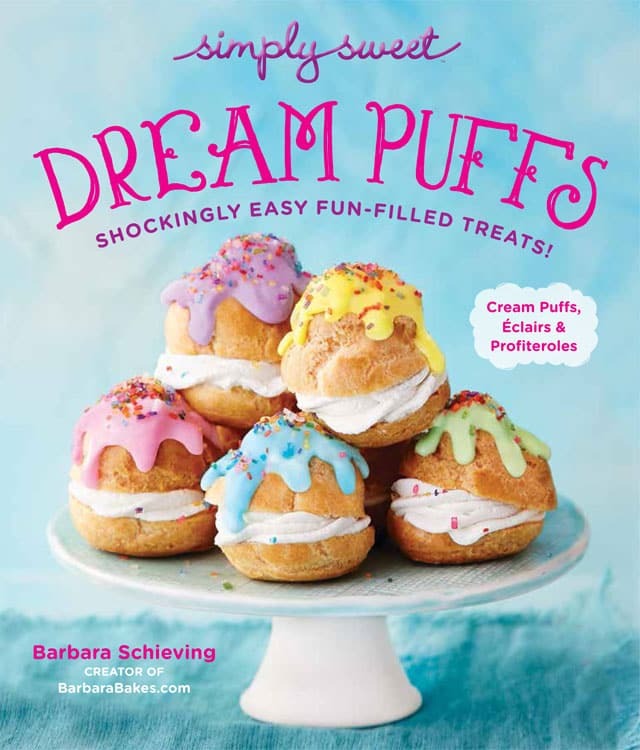 They looked pretty at first, but then the sprinkles dissolved into the whipped cream and filling, so they looked more spotted than sprinkled. Visit Food Finery for the original recipe, as well as all of Tiffany’s delicious recipes. I’m so glad she shared this one. 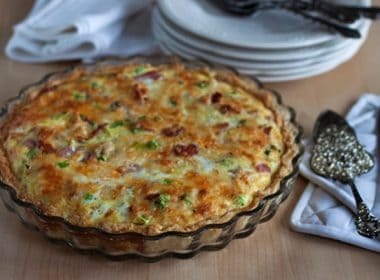 Place the sugar, whole eggs, egg yolks, juice and zest in a medium pan and whisk to combine. Heat and continue to constantly whisk until the mixture turns pale and thickens (about 5 minutes). Remove from heat and whisk in the butter. Cool completely before refrigerating. Store in jars or an airtight container for up to one month. Whip the cream until it thickens (about 5 minutes) then add the vanilla and sugar. Fold the lime curd in with a rubber spatula and fill desired shells/crusts. Chill 2 hours then top with additional whipped cream if desired. Allow to come to room temperature for 10 minutes before serving. These tarts look amazing and I’m sure that they taste amazing too! They are just so gorgeous! These look awesome! I can’t wait to try it. It seems like a really versatile recipe. Would it work if I omit the curd altogether and use whipping cream and strawberries? Hi Susan – definitely. Make sure to mix your strawberries with sugar and let them sit so some of the juices draw out before you fold them in. maybe mash half. You don’t want too much juice though. Hello Barbara, too bad I could not try your recipe – i am raw and eating only fruits and vegetables… but pictures are awesome! I think you find a great exposure to your love of baking – you are posting to blog, baking is still a hobby. 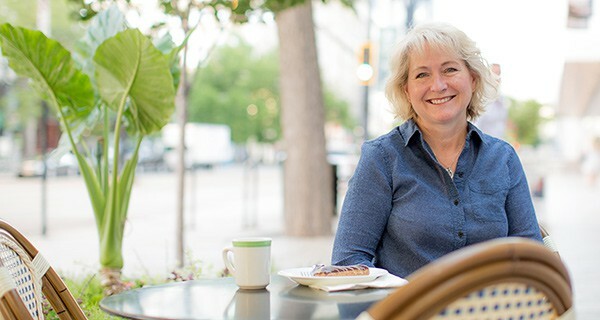 I am sure you could start a successful cafe, but it could ruin you love to bake – that happened to me, I really loveded driving before working as a driver. 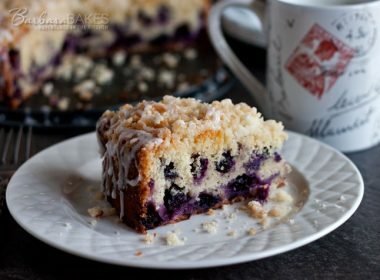 What a unique recipe, it looks delicious…Today one sweet tooth got his another target to hit,and this is going to be happened just with the help of you Barbara. This was such an easy and tasty desert! I liked the curd so much I decided to make some straight-up for a gift. I put what would fit into a small jar and the remaining amount into a tupperware and into the refrigerator for myself. Later that night I went to eat a little of mine and it had not all set up. I looked at the jar and it had a line of separation, as well, but when I tilted it to see if it was liquidy it did not move. Should I have let the curd cool before storing it and should I not be storing it initially in refrigerator? Hi Carrie! So glad you loved the tarts. This has never happened to me, so I asked Tiffany if it’s happened to her. Here’s her reply: It’s never happened to me but I know what she is saying. It should cool in the pan to thicken and then cool completely before refrigerating. Thank you so much for replying This will be so helpful as I plan on making the curd many more times! What I love about mini pies is the fact I can eat one all by myself.. Yes!! 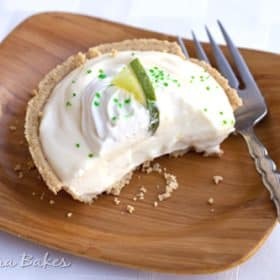 😀 I love Key lime pie so this must taste outrageously amazing, thanks for sharing! What a unique recipe, it looks delicious. Very elegant! 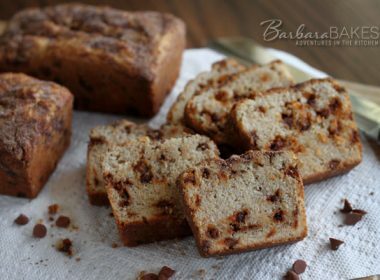 A delicious and easy summer dessert, Barbara. And you don’t even need to turn an oven on. Nice. I always have key limes in my fridge. Owwhhh, lovely. I’d imagine it’d make for such a fresh crisp flavour this method too. Love it. 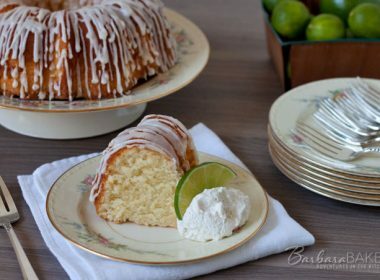 I like Key Lime anything! 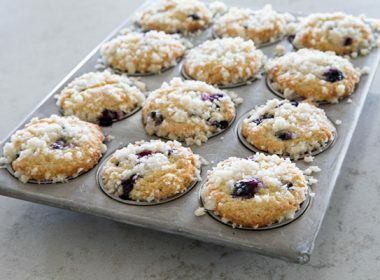 These tarts look SO good! Thank you for your kind words on my blog. There is a lot of cleanup in Western MA, now. baked french toast and key lime tarts..I must visit more! great treats barbara!! love the first pic!